In recent years, I have begun to undertake uncomfortable journeys to the world’s unwelcoming locations. In the process, I have discovered that if I am friendly, people are friendly to me. Seneca said, “It is not because things are difficult that we do not dare; it is because we do not dare that they are difficult.” In recent years, I have begun to undertake uncomfortable journeys to the world’s unwelcoming locations. In the process, I have discovered that if I am friendly, people are friendly to me. If I provide help when it is needed, I receive help too. A change of perspective never hurts. Talking to each other resolves every problem. I find places suffused with history exciting – especially ones that are not far away yet are forgotten. 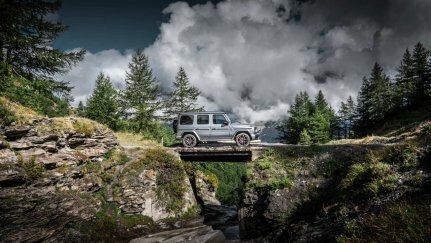 With the new Mercedes-AMG G 63, I wanted to take on a journey along the craggy mountain passes of Piedmont and Savoy. The mountains there appear endlessly high and hugely impressive and have witnessed many changes. This cultural landscape has been inhabited for millennia and was always disputed. Fortresses, ruins, old roads, and fortifications are like an open book. Borders have been moved again and again. They were ruled by one group and then by another. The central passages over the Alps have been conquered, fortified, and destroyed – but also overcome with once-in-a-century constructions. Our journey begins at the Mont Cenis Tunnel. But rather than use the tunnel, we take a dirt track from Bar Cenisio up to the idyllic Lac de Roterel. Emperor Constantine the Great passed by here in the year 312, and – later – so did Charles the Great and Henry IV on his way to Canossa. The first road was built by Napoleon. The remains of that route are difficult, but impressively beautiful. The view is fantastic, and we picked masses of raspberries. It’s a paradise for adventurers! "The pulse beats faster; the senses are heightened." At the top, we reach a high plateau. The Italians constructed the enormous Varisello fortress here in 1877 – a superhuman feat. But it was already abandoned in 1910. The walls could no longer with-stand modern weaponry. Today, the fortress belongs to France. We continue on wild gravel roads to Lac du Mont Cenis. The Italians built the reservoir in the 1920s. I sit on the dam wall and think about the generations of men who built it. Nowadays, people drive through the tunnel in the valley below without taking notice. We cross the Col du Mont Cenis and drive down to Lanslebourg: a pleasant skiing location but deserted in summer—making it the best time for a visit! The next morning, after two strong coffees, we take the forest road that leads us to Fort de la Turra. The road is even wilder than yesterday’s. But the G 63 still has no problems. We are impressed by its perfection and sheer power. The fort is a huge site that shows the irony of fate in many ways. The French built it in 1889 as a reaction to the Italian fortifications. In World War II, the Italians then attacked from Piedmont. The fort was able to withstand the attack. But the Italians broke through at another point and occupied the region behind the fort. After World War II, they had to return the conquered land to France. Near the tranquil commune of Modane is the Fréjus Rail Tunnel, built in 1871 and the oldest major tunnel in the Alps. Quite incredibly some of the fortresses in the region were built more recently and yet are in ruins. This connecting construction, on the other hand, has survived two world wars. After a night in Bardonecchia, we are going for a record. 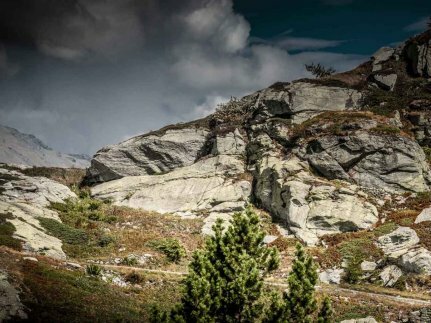 Our aim is the Col de Sommeiller – the highest drivable point in the Alps at 2,996 m (9,829 ft). 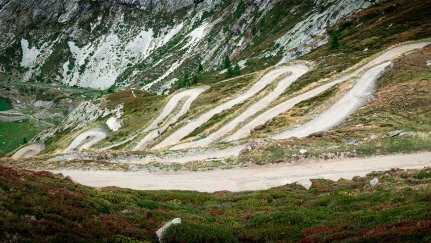 The road up, past Rifugio Scarfiotti, is a truly dangerous road: coarse gravel, dust, slippery scree, narrow and winding turns, and steep inclines. On one side, there are dangerous cliffs; on the other, a deep chasm. One false move can mean the end. It’s a feeling that really makes us come alive. The pulse beats faster; the senses are heightened. We form a community with the few other adventurers we meet. People are friendly, help each other, move out of the way, and greet each other politely. It is amazing how people change as soon as they are high up in the mountains. The journey back into the valley is long and dusty. After a double espresso in a bar, the route leads us to Sauze di Cesana. The village is not far from a huge ski resort and yet is in the middle of nowhere – it’s a wonderfully sleepy place. Today’s magical espresso doppio is in Sestriere. Here, it is a case of one block of concrete after the other: hotels and vacation homes for winter sports. In mid-September, the skiing trade is still dozing. We hardly come across anyone. In winter, hundreds of thousands of people come through here. But why would you visit a skiing location in late summer? Because that is the only time you can drive on the Assietta ridge road! 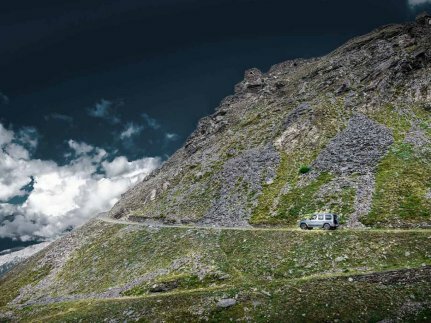 The old military road is mostly found over 2,000 m (6,500 ft) above sea level. The view is breathtaking; the journey, demanding. We pass eight spectacular peaks. But it’s not a place for those with a fear of heights. Only one car fits on the gravel road. That makes things exciting when we meet oncoming traffic. 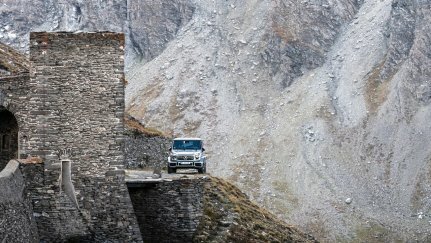 But the G 63 does not suffer from vertigo and always leads us safely past the oncoming vehicle with the help of its 360° camera. 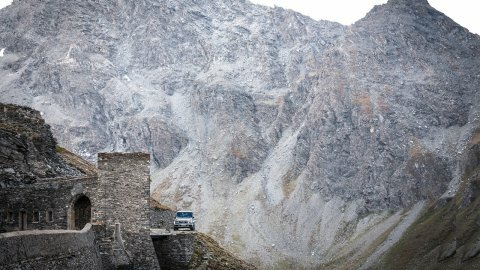 There is one final pass to master: the Finestre pass. Built in around 1700, it was used to supply various forts, including the Forte di Fenestrelle – the biggest fortification in Europe and the largest wall after the Great Wall of China. From here, there is a wonderful view of the Susa Valley and the gravel road that will take us down. In the valley, the weather takes a turn. It starts to rain. 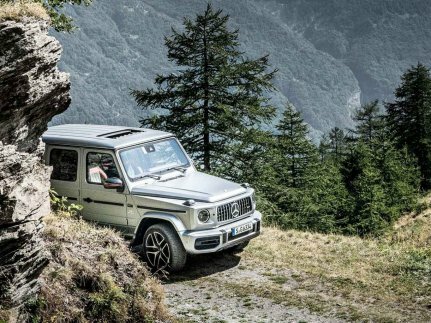 On the highway, the G 63 mutates into the perfect companion for such roads. Having only just carried us to the highest peaks in the Alps at crawling pace with three differential locks, it is now gliding us northward. A few hours later, we reach our studio in Munich relaxed. People really are capable of great things. Under great strain and with great effort, they can build fortresses on the highest peaks or roads in the most inhospitable areas. Only, that doesn’t always make sense. Or does it? We’ll find out another day. Until then, we’ll keep traveling, on and on. The sky’s the limit. 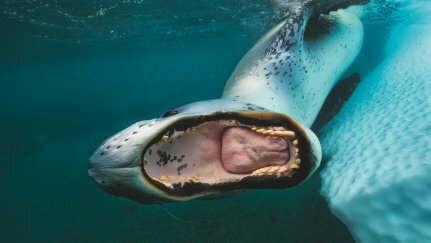 Michael von Hassel, born in Munich in 1978, is a German photographer and artist. 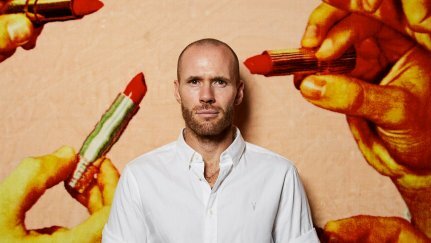 Von Hassel has developed an individual visual language that he calls “hyperrealistic” and that shows the observer the world in a particularly intense way. 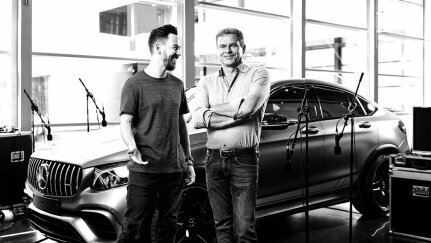 Mercedes-AMG works together closely with the artist in the area of photo art. 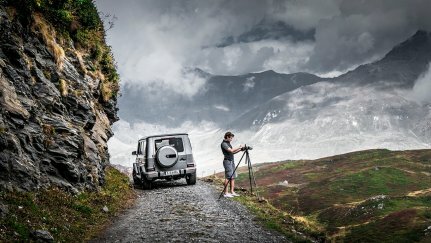 So we were excited to see what the result would be when we gave Michael von Hassel the keys to a brand-new Mercedes-AMG G 63 and sent him with it onto the inhospitable gravel roads of the Western Alps.